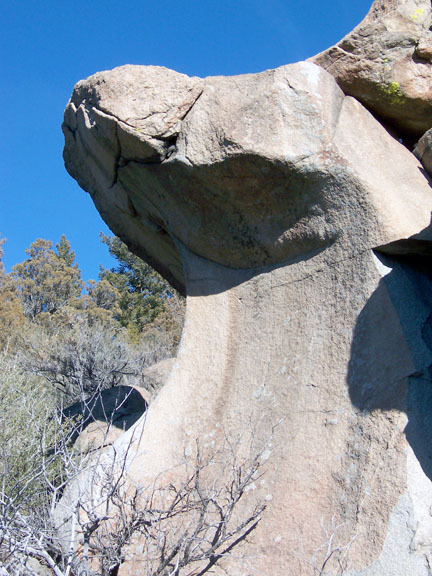 About 6 years ago, I went and checked a small piece of BLM land out in the Boulder Batholith. 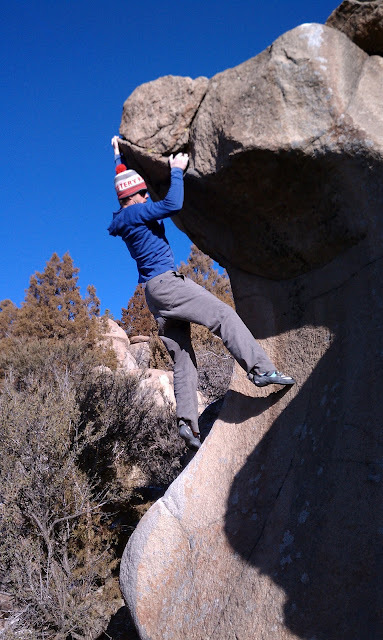 There was a handful of decent looking problems, and one gem, but none were climbed that day...just out looking....and I never went back...until the other day. I showed Odenbeck a pic of what I considered the best looking problem out there, and it didn't take long to find motivation. Soon enough we were back on the hill. 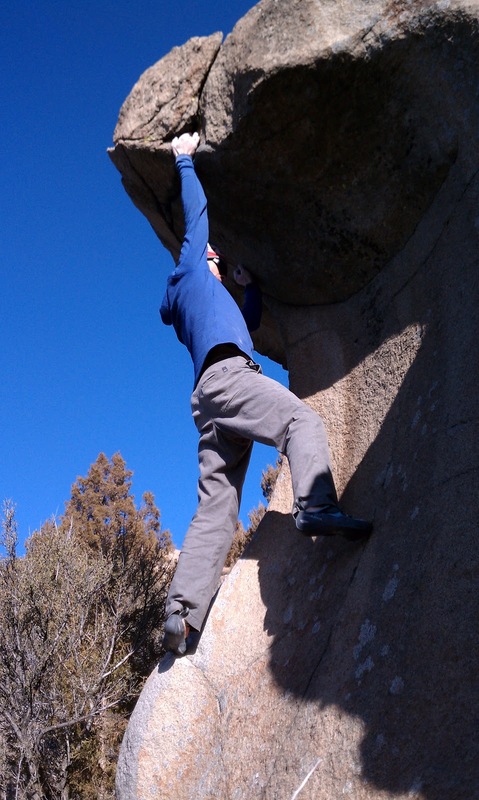 It climbed like a dream... A few tech slab moves and it blanks out to a long reach. 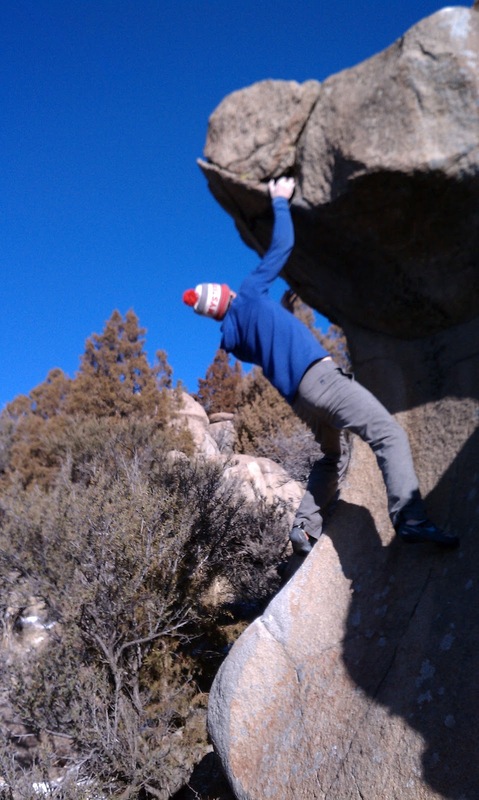 Then a nice combo of balance and gusto to move the feet up. 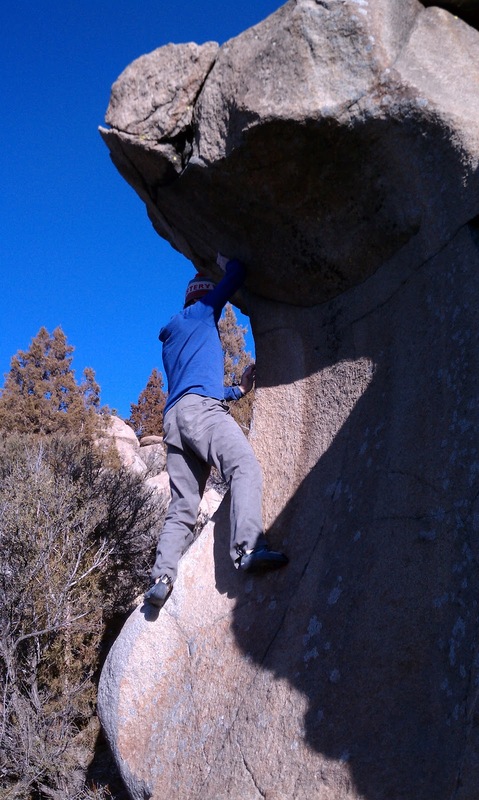 and one last reach to gain some great topout holds...which is helpful, as the landing is a bit dicey. Perhaps the best ~V3 I've climbed in the Boulder Batholith, and a stellar way to round out a great year.